A Supreme Court judgment delivered by a women-only bench is a rarity. One such judgment has been delivered by the all-women bench which sat on September 5, convicting a school teacher whose assault on a second standard student resulted in loss of vision in the left eye of the latter. 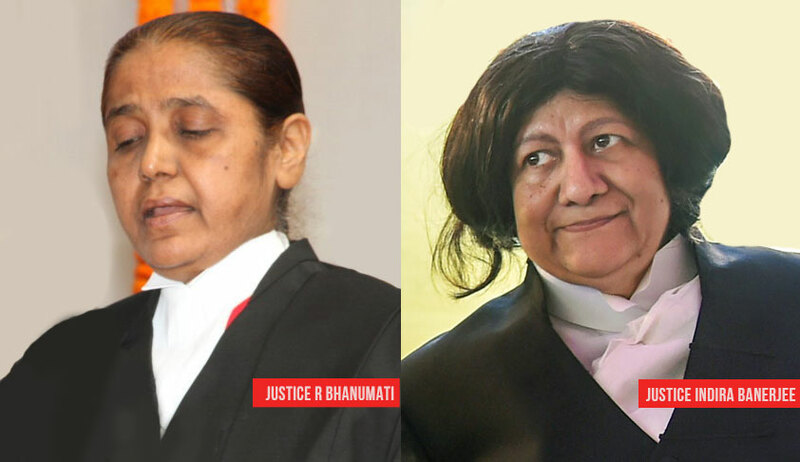 Before Justice R. Banumathi and Justice Indira Banerjee sat in Court No.12 on September 5 and 6, there was only one instance in the year 2013 where Justice Gyan Sudha Mishra and Justice Ranjana Prasad Desai sat together. We are not sure whether there is a judgment by that bench. Anyhow, the bench, which sat on September 5, delivered a ‘reportable’ judgment on the same day, in an ‘unfortunate case’ where a school teacher was accused of assaulting a second standard student, with wooden stick for not wearing uniform shoes. The assault had resulted in injury to the left eye of the student. In spite of two surgeries, the left eye suffered loss of vision. The trial court had acquitted the accused, and the high court had reversed it and convicted him under Section 326 IPC and sentenced him to undergo imprisonment for a period of two years. Before the apex court, Senior Counsel Basava Prabhu S.Patil, who appeared for the accused, contended that the trial court was right in finding that the child witness was tutored. The bench observed that the only question in this appeal is the correctness of the conviction under Section 326 and the nature of the offence. “Though the stick wielded by the appellant has been marked as MO1, there is no material to show that the stick that was wielded by the appellant was a dangerous weapon... In the absence of such evidence, in our view, the conviction of the appellant under Section 326 may not be warranted; but the offence would fall under Section 325 IPC, “voluntarily causing grievous hurt”,” the bench said. The bench then modified the conviction under Section 325 IPC and reduced the sentence of imprisonment to one year. Additionally, fine of Rs 50,000 was also imposed, which was ordered to be paid as compensation to the injured student.